An historic church which has rung its bells since 1779 is to be silenced after a single noise complaint, in a move residents say threatens the “traditions and history” of the medieval town. 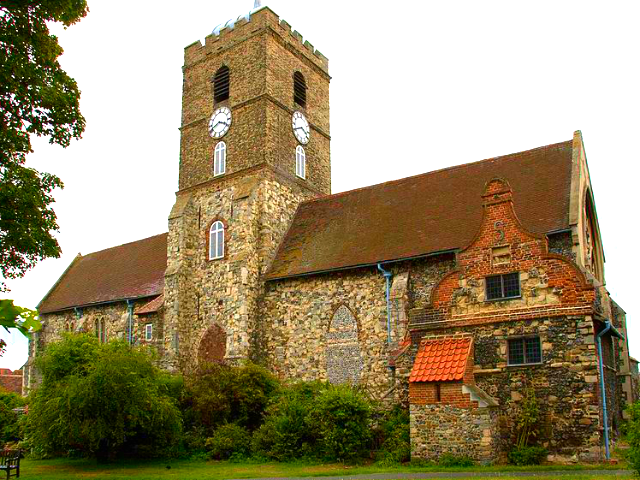 The bells of St Peter’s in Sandwich, Kent, South East England, have chimed every 15 minutes since the eighteenth century, but Dover District Council has served a nighttime ‘noise abatement’ order against the church, reports the BBC. The order, usually reserved for neighbours who play excessively loud music or who have barking dogs, means the Norman church, which dates back to the thirteenth century and stands on grounds that have been a place of Christian worship since the 1100s, must be silent between 11 pm and 7 am. The council said it had received a single complaint from a neighbour and it had a “statutory duty to investigate noise complaints”. After undertaking decibel tests, the bells were deemed “too loud”. Carole George, leader of the Save the Chimes campaign, said the decision threatened the “traditions and history” of the town. More than 3,500 people signed a petition to keep the bells ringing, and no other complaints have been lodged regarding the bells. A consultation by the Sandwich Local History Society and The Sandwich Society found that 85 per cent of people living in close proximity to the church do not want the chimes to end; however, the residents’ feelings were not taken into consideration by the council. Mrs. George said: “This is not a democratic decision, the council has ignored the vast majority of its electorate. “The church has been ringing out for centuries, it’s not a new noise. It’s the beating heart of this town. The Churches Conservation Trust has 90 days to make the changes, with a spokesman saying that they do not have “the funds or resources to facilitate an appeal”. The church has received permission to ring during prohibited hours on Christmas Eve and New Year’s Eve.